The <DirectoryChooser> tag renders an SWT Label, Text and Button widget. When clicked, the button displays a directory browser to allow you to easily select a directory. Value used in the creation of layout data for the Composite. The <ESPKReferenceSummaryAttribute> tag renders an SWT Text and Button control. When clicked, the button displays a reference browser to allow you to easily select the required entity reference. Specifies the ID of the resource containing the text to display on the title bar of the reference browser dialog. 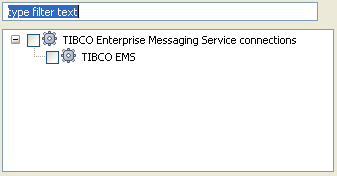 Specifies the ID of the resource containing the attribute/control name to be displayed in the event of an error. Specifies the entity types (as a comma separated list) that are selectable in the TreeViewer displayed in the Reference Selector dialog. Specifies the entity types (as a comma separated list) that are searchable for entities of those types specified by the “selectableTypes” attribute. The <FieldTable> tag renders an SWT TableViewer, along with a bank of buttons to allow you to enter a list of values, the type of which is based on the specified entity field. Text for the label to be displayed. Help identifier used for the Add/Edit dialogs associated with the table. Value used in the creation of layout data for the controls. Specifies the width of the column in the table. Specifies the title of the dialog that appears when the ‘Add’ button is clicked. 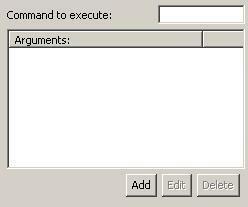 Specifies the title of the dialog that appears when the ‘Edit’ button is clicked. Specifies the text that appears on the label on the Add and Edit dialogs. The <FileChooserText> tag renders an SWT Label, Text and Button widget. When clicked, the button displays a file browser to allow a user to easily select a file. The <group> tag renders an SWT Group widget, which is usually used to group other widgets. Used to give the group a visual name and also employed internally for binding purposes to allow the control and its children to be enabled/disabled. Value used in the creation of the layout data for the Composite. The <HTTPStatusTableAttribute> tag renders a Table and a group SWT Buttons that appear as a Button bar. When clicked, the buttons display a dialog to add, edit, or delete a HTTP status code. The <include> tag allows another declarative XML file to be included inline in the parent including XML file. The name of the declarative XML file to be included inline in the declarative parent XML file. The class, including package, used to render the included resource. Any required string resources will need to be redefined in the local resource.properties file. The <label> tag renders an SWT Label widget. Value used in the creation of layout data for the Label..
Value used to specify whether or not the font is rendered bold. The <LifeTimeAttribute> tag renders a Label, Text, and a group of Spin controls, representing a time span. This allows you to enter values for Days, Hours, Minutes and Seconds. The label NAME_LABEL must exist in the appropriate resource.properties file. The <MsgAttrAttribute> tag renders an SWT Label and accompanying Combo widget populated with a list of Axway message attributes. The <MultiValueTextAttribute> tag is similar to the TextAttribute tag in that it renders an SWT Text widget (and optionally, a Label widget), backed by the specified field for the entity being configured. The difference is that it caters for multiple values interspersed with the specified separator. The value of this field is set to a resource identifier, specified in a resource.properties file. Specifies the string used as a separator to the list of multiple values. In this case, EXTENSION_LABEL is resolved to the localized string “Extension:”.